Charles Massey thought he was fit and healthy for a man entering his late seventies. So he was shocked to be told he needed heart bypass surgery. "I didn't think there was anything wrong," Charles, who turns 80 in August, says. "But they wouldn't let me out of hospital." He had the operation last April but the next challenge was to return to health. "The doctors told me that after my surgery, I needed to keep doing a certain amount of exercise." As someone who had been supporting Southampton for 70 years, Charles was delighted to have a solution close to the club. "I knew of Saints Foundation, so I thought, 'Well, I'll be involved with something to do with the Saints.' "
He signed up for the Generation Gains programme that is run by the club's charitable arm. "The Generation Gains project works with older adults in the community of Southampton," says Saints Foundation health and wellbeing project officer Marion Gealer. "We like to think that we are providing a service that's fun, to come along and meet other people and work on their health and wellbeing and get some exercise." 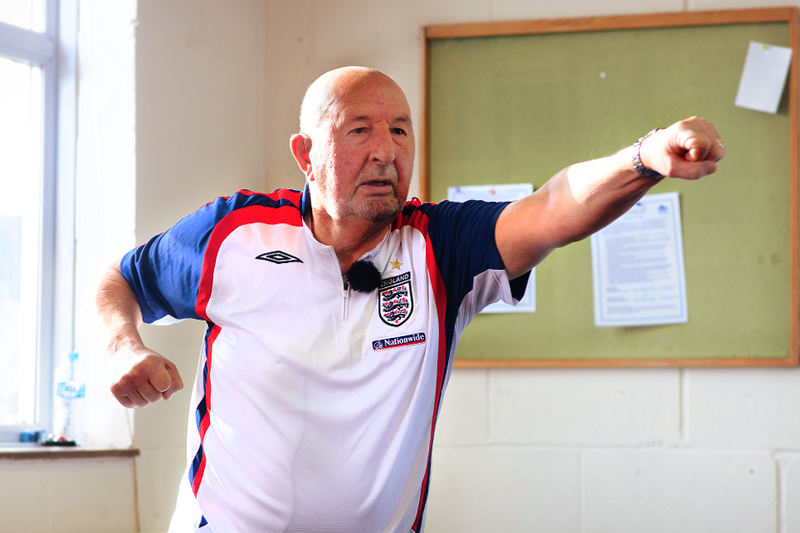 By improving their fitness and core stability the programme tries to reduce the risk of falls by those involved. It also tackles isolation among the elderly, giving participants like Charles the opportunity to meet other people and keep socially active. "It makes me feel like I'm still able to communicate and talk to people," Charles says. "I find that it does me a lot of good. "Everyone who comes here enjoys it a lot." Charles is one of more than 300 people whom Generation Gains helps every week. His story is part of the Saints Together campaign, which highlights the connection between the club, the Foundation and the community.